Lancia Beta Forum > Technical stuff > Engine > 16v head for Beta? At this stage just an idea forming, but anyone know if you can use the later 16v heads from such as Dedra etc on the Beta engine? Re: 16v head for Beta? Even if you could do it I can't think it would be worth the bother, you can extract fairly serious power from an 8v and tbh I have never felt that the 16v is as nice an engine. Do you have GCs latest book? If not you should get a copy it will enlighten you on lots of stuff, you are close enough to GC to call in and buy one! Well you could still do a rally replica, it would be fine with an 8v especially if it is for fun and to enjoy rather than a precise replica. I think the picture on the left is an 8 valve engine bay? Lancia used both for rallying. 16v for the full 'WRC' as a stop gap waiting for the Stratos, 8v in the lower class. Both were more successful that is generally remembered. 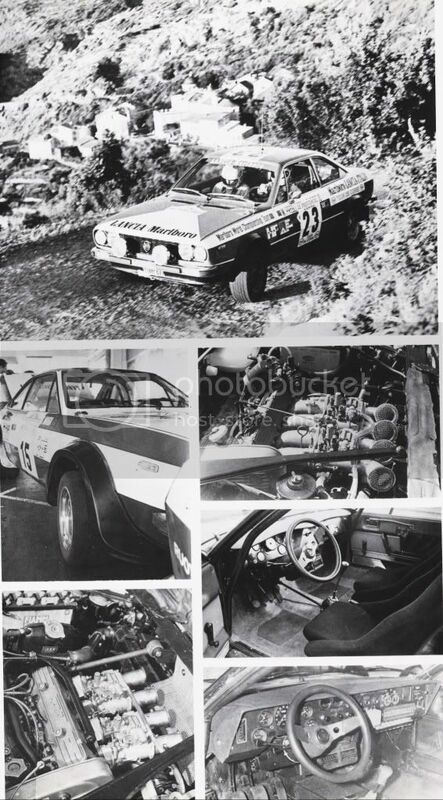 The group 3 cars used 1800cc 8 valve motor with narrow wheel arch extensions, Group 4 cars had 1800 engine with Abarth 16v head as used on Fiat 124 and were good for 190BHP @ 7700rpm.